Next year, Alibaba's customers may have their packages delivered to them by G Plus, a self-driving delivery truck that relies on RoboSense's LiDAR technology. Two Chinese titans, Alibaba and Robosense, have joined forces to create G Plus, “the world's first solid-state LiDAR unmanned logistics vehicle.” In other words, a self-driving delivery truck made up of lockers that can only be opened when at the right destination and/or unlocked by the customer. The G Plus robot can adapt to carrying several packages of various shapes and sizes, or even change its use altogether. 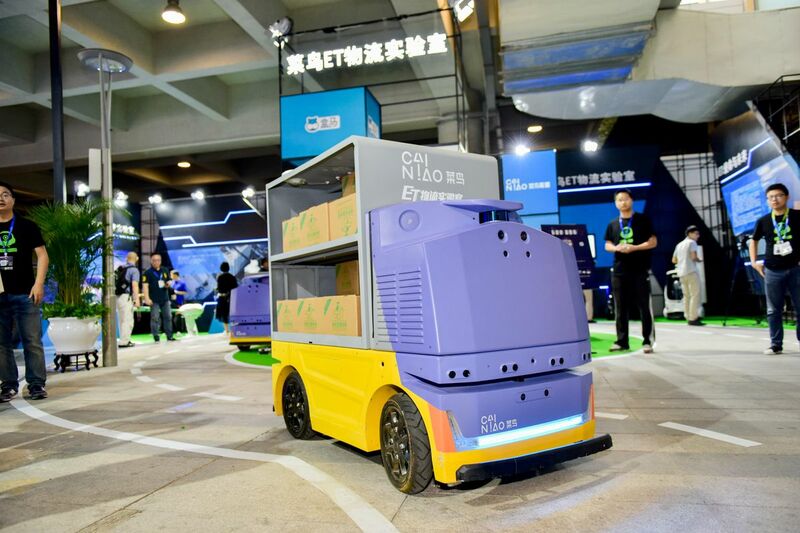 The unmanned-vehicle basically consists of a unit placed on wheels that is autonomously driven by RoboSense's LiDAR technology, allowing for other retail scenarios, such as a mobile self-pickup station, a mobile coffee vending machine and so on. LiDAR technology is a sophisticated version of what humans do when they can't see where they're going —walking slowly with their arms out searching for obstacles. The surveying method beams pulsed laser lights at a target -- for example, the road ahead -- and then measures the reflected pulses with a sensor. LiDAR is short for, ‘light imaging, detection, and ranging', the technology which assists with not only autonomous driving but also forestry (tree inventory), wind farm optimization (measuring wind speeds), and the list goes on. Traditionally, a mechanical multi-beam form is used, which relies on over a hundred laser transmitters and receivers. However G Plus consists of just three RS-LiDAR-M1Pres, two in the front, one in the rear “to ensure the most powerful 3D perception for driving.” Alibaba is currently testing out the robot on roads surrounding their headquarters in Hangzhou, a large city in eastern China, with plans to begin commercial production by the end of this year.